Pearl writes for the love of words and often compares herself to a ballerina performing to an empty theatre. Reader reviews are the sound of the distant audience and each one is greatly appreciated. 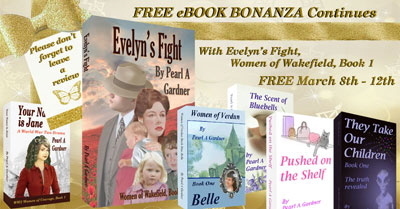 Flitting between genres ensures Pearl's stories are always fresh and exciting. She has a wide ranging and eclectic author list from chick lit, historical romance, to science fiction and the paranormal. Pearl has enjoyed success, in the past, with short story fiction, winning some national competitions. Her articles and stories have been published in popular magazines, both fiction and non-fiction, but in recent years she has concentrated on full length works. She enjoys researching the past and is particularly interested in the First and Second Wo Pearl writes for the love of words and often compares herself to a ballerina performing to an empty theatre. Reader reviews are the sound of the distant audience and each one is greatly appreciated. She enjoys researching the past and is particularly interested in the First and Second World Wars, where many of her historical romances are set. She also loves the freedom of writing science fiction, but likes to construct her stories around scientific facts or theories. To ask Pearl A. Gardner questions, please sign up. Pearl A. Gardner I'm lucky. I have never suffered from writer's block. I sometimes sit at my computer staring at a blank screen, wondering what the first word will be.…moreI'm lucky. I have never suffered from writer's block. LAST CHANCE to download the second FREE eBOOK of my eBOOK BONANZA! This series spotlights the lives of ordinary women, working and loving in the extraordinary circumstances of WW2.
" Hi there, I just added the wrong cover for my book. Can this be changed, please to the same cover as the kindle edition? Eunice finds love, paperback e Hi there, I just added the wrong cover for my book. Can this be changed, please to the same cover as the kindle edition? We’d love your help. Let us know what’s wrong with this preview of Freedom for Cassie by Pearl A. Gardner. We’d love your help. Let us know what’s wrong with this preview of The Wrong Child by Patricia Kay. Happy New Year Pearl. Thank you for accepting my friend request on Goodreads.